VIENTIANE, November 11.- Cuban President Miguel Díaz-Canel congratulated his Nicaraguan counterpart, Daniel Ortega, on his 73rd birthday this Sunday. “I join my brother President Maduro in congratulating him on the birthday of his brother Commander Daniel Ortega. Congratulations,” he wrote in his Twitter account, shortly after the Venezuelan leader congratulated the president. Diaz-Canel is touring Europe and Asia and is in Laos this weekend, PL said. A Memorandum of Understanding on cooperation between the Bank of the Lao People’s Democratic Republic and the Central Bank of Cuba was signed on this day in the presence of President Miguel Díaz-Canel Bermúdez and his Laotian counterpart Bounnhang Vorachith. In another tweet Díaz-Canel stated that “we celebrate in Laos the 50th anniversary of the National Liberation Forces Command. It was in the legendary caves of Viengxay, where our doctors consolidated the unbreakable friendship of our peoples. The International Relations Secretary of the Sandinista National Liberation Front (FSLN) reaffirmed the government’s will to maintain peace of mind and citizens’ rights. The International Relations Secretary of the Sandinista National Liberation Front (FSLN), Jacinto Suárez, reaffirmed today in Havana the invariable will of the Nicaraguan government to preserve peace in that nation. According to Prensa Latina, Suárez rejected the wave of violence unleashed in the Central American country last April and insisted on an end to crime, encouraged, he said, by political manipulation by the right. The Nicaraguan leader, who will participate as a delegate to the 24th Sao Paulo Forum in this capital city, ratified the call for dialogue as a way to restore peace to the nation’s citizens, and deplored the vandalism of groups described as terrorists whose aim is to spread chaos and terror in the country. “The destruction they have caused is not easily replaced and the loss of human life is irreparable. It is necessary to resort to peaceful means,” he said after recalling the achievements of the past 10 years in areas such as the economy, health, education and the fight against poverty. 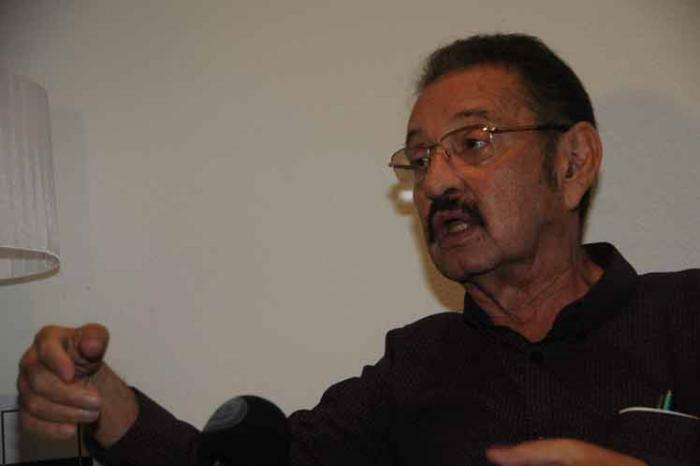 Also president of the International Relations and Integration Commission of the National Assembly of Nicaragua, Suarez warned that the destabilizing actions of the last three months respond to a soft coup orchestrated from abroad, similar to that applied in Venezuela, which seeks the resignation of the president, Daniel Ortega, and foreign intervention. In addition, he explained that the students who participated in the first riots were manipulated by the right-wing, and assured that the promoters of such actions are not political activists, but criminals. Suárez, who joined the FSLN in its struggle as a teenager, also referred to what happened on Monday in the department of Carazo, where residents denounced the complicity between the Catholic Church and criminal groups during a visit by the Episcopal Conference to the Basilica Menor de San Sebastián in the municipality of Diriamba. In this regard, he said that the citizens repudiated the alleged use of the temples as a den for criminals, torture centers and weapons storage. He also criticised the Conference’s bias in the national dialogue between the representative of the Executive and opposition sectors. The escalation of violence erupted on April 18 against government social security reforms, which although later repealed did not stop the protests, to which other political demands were added. These reforms, in line with allegations, served as a pretext to implement a plan aimed at destabilizing the nation and overthrowing the Sandinista government, which reiterates its commitment to the defense of peace, security and the right to life of all citizens. The Ministry of Foreign Affairs of the Republic of Cuba denounces the attempts to destabilize the Republic of Nicaragua, a country that lives in peace and where remarkable social progress has been achieved. The Ministry of Foreign Affairs of the Republic of Cuba denounces the attempts to destabilize the Republic of Nicaragua, a country that lives in peace and where significant social, economic and security progress has been made in favor of its people. The Ministry of Foreign Affairs of Cuba reaffirms its commitment to the principles of the Proclamation of Latin America and the Caribbean as a Zone of Peace, signed by the Heads of State and Government during the Second Celac Summit in January 2014, and rejects interference in the internal affairs of that sister nation. The Ministry of Foreign Affairs supports the sovereign efforts of the Sandinista people and Government of Nicaragua, chaired by Commander Daniel Ortega Saavedra and Vice-President Rosario Murillo Zambrana, to preserve the dialogue, peace and well-being of Nicaraguans.